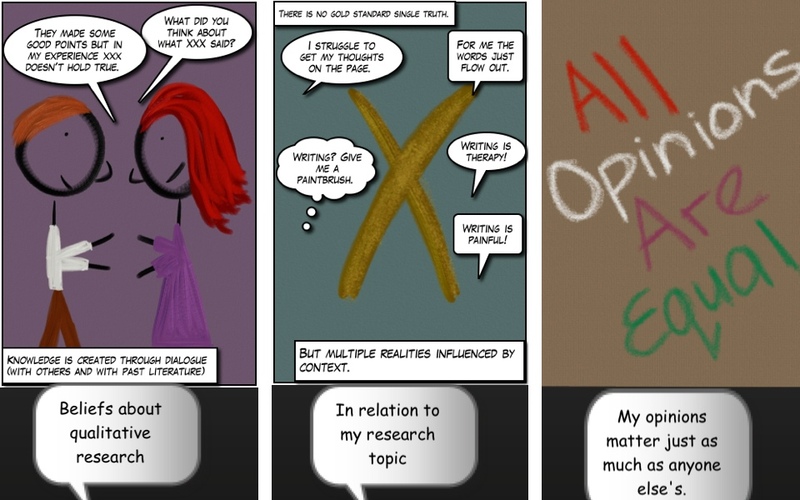 Inspired by the wonderfully talented and creative Gillian Crossley I have used ArtSet and some comic apps to create a little comic on my current views on qualitative research to help me make sense of my philosophy when selecting a research methodology (which I seem to be going round in circles with). 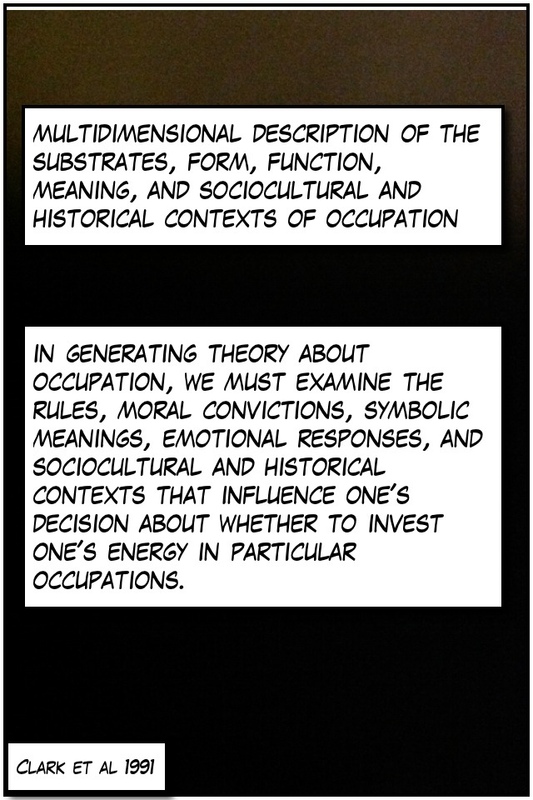 The last pic is direct quotes from the Clark paper. Full Refs to be added. 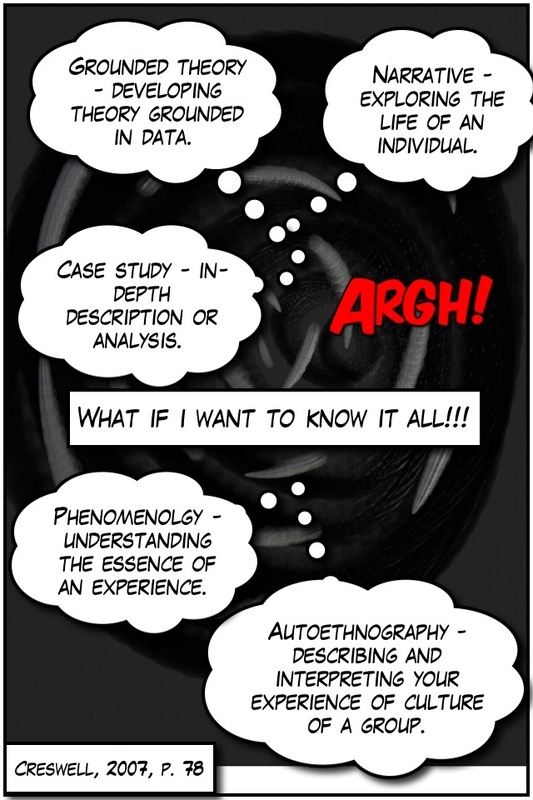 Posted on June 19, 2012, in PhD and tagged comic style, PhD, Qualitative research. Bookmark the permalink. 4 Comments. Love it! I think I may have to have a go… it is on the list! It is fun Helen. Taps into anther side of creativity I think.